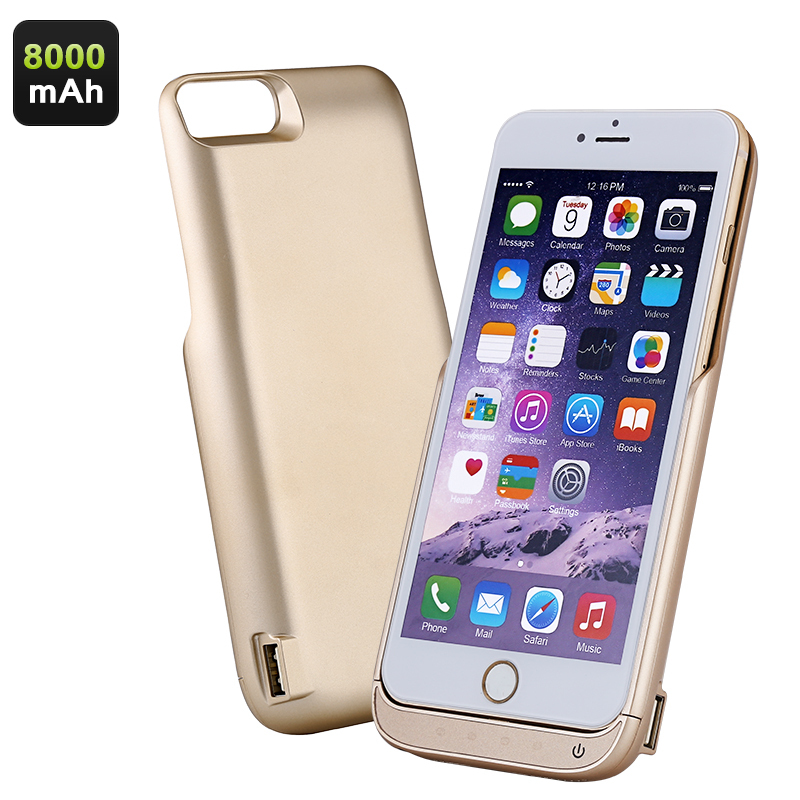 Successfully Added iPhone Battery Case 8000mAh - 8000mAh, 4 LED Charge Lights, iPhone 6 Plus and iPhone 7 Plus to your Shopping Cart. Never run out of power again when your iPhone’s features are most needed with this external battery case for your iPhone 6 Plus / iPhone 7 Plus. Packing a massive 8000mAh battery this electronic accessory for your iPhone provides you with numerous hours of extra battery life. With its slim-fit design this iPhone case can be quickly and easily installed by sliding it straight onto the back of your phone. Featuring a stylish look this case does not only double or triple the battery life of your phone, it also offers an extra protection against bumps and scratches ensuring that your new iPhone can keep its fresh looks for as long as possible. 4 LED indicator lights provide you with an easy way to keep a track of your current batter life and how much power your charger has left. When your external battery case has ran out of power simply slide in your USB to recharge and before you know it you will be set to, once again, enjoy its massive power reserves. With an extra 8000mAh juice in your pocket you can be assured that running out of power is no longer an issue. Whether you are out for a hike, take a 12 hour flight, or are stuck in the back of a car during an upcoming road trip – with this external battery case for the iPhone 6 Plus / iPhone 7 Plus you have enough power to enjoy the mobile entertainment your phone has to offer for days worth of time. This External Battery Case comes with a 12 months warranty, brought to you by the leader in smartphone accessories as well as wholesale electronic gadgets..